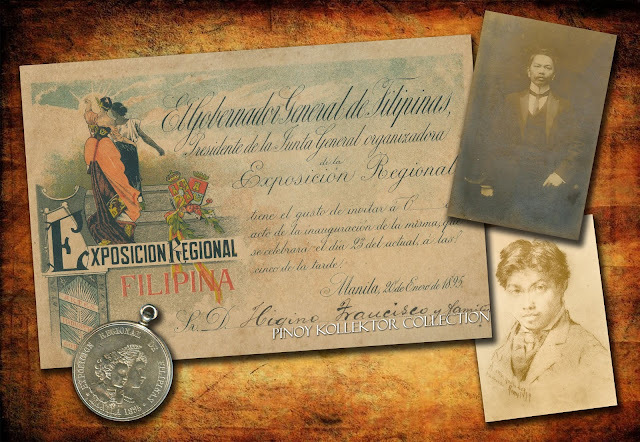 1895 REGIONAL EXPOSITION FILIPINA, invitation, medal and Juan Luan postcards. Luna was commissioned to design the invitation and it featured his famous painting España y Filipinas. It is an allegorical depiction of two women together, one a representation of Spain and the other of the Philippines. 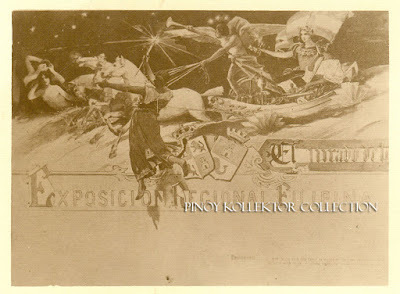 The painting, also known as España Guiando a Filipinas ("Spain Leading the Philippines"), is regarded as one of the “enduring pieces of legacy” that the Filipinos inherited from Luna. 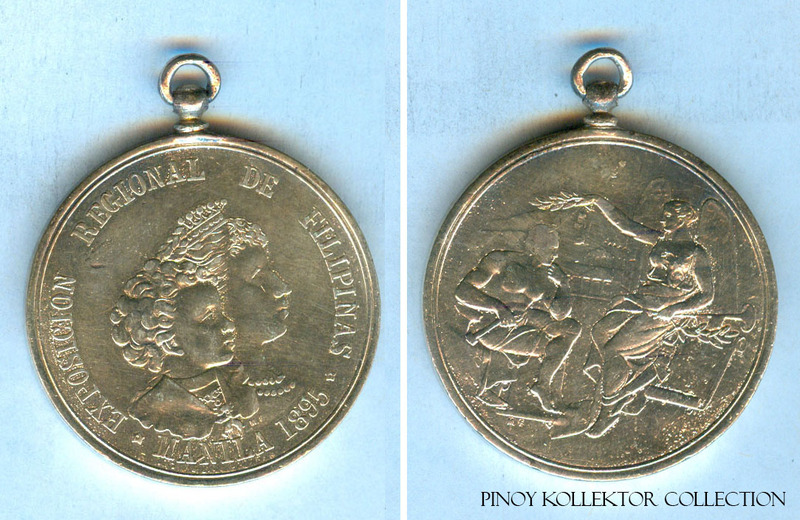 Taken from a newspaper in Manila Jan 23, 1895. 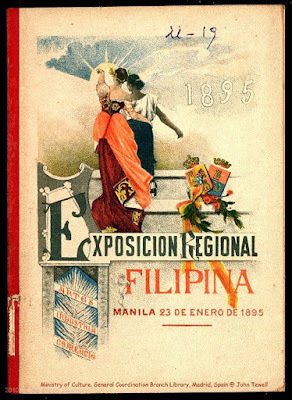 The Regional Exposition of the Philippines, the first ever to be held in the entire Archipelago, is inaugurated by His Excellency Governor General of the Islands. Sr. Ramon Blanco Y Erenas, Marquis of Penaplata. Jubilant and impassioned cheers of “Viva Espana” resounded from the exhibit ground in the suburb of Ermita while fireworks and band music fill the extremely dark early January evening. At exactly five thirty this afternoon, the Governor General accompanied by the respective officials of the Municipal Government of Manila, arrives at the grounds of the Exposition where he is met by the Board of Directors of the Exposition led by his Excellency, Director General of Civil Administration, Sr. Angel Aviles. The heads of the different committees governing the installation and maintenance of the exhibits as well as the head s of military and religious organization receive the Governor at the porch of the Central Pavilion. 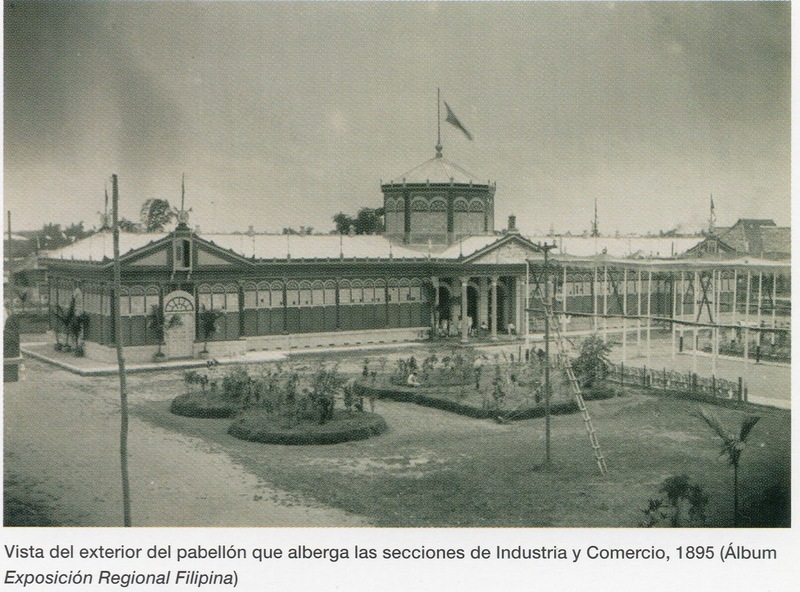 The inaugural rites are held before a specially contracted dais in from of the peristyle of the Central Pavilion, draped in the red and yellow colors of the State. Deep blue cloth enhances a double portrait in of The Majesties, the Reining Queen and her Infant King Alfonso XIII and the bust, executed by the sculptor Bonifacio Arevalo. his son Alfonso XIII the future king of Spain. During the ceremonies, the General of the Navy, the Superintendent of the Hacienda and the Secretary of the Exposition, Sr, Manuel del Busto take their places at the Governor’s right while on the left the President of the Audiencia and the Fiscal of His Majesty. Behind him stand the members of the Ayuntaminento, officials administering the provinces as well as members of the consulates of other countries. From the altar at te right of the dais, the Most Reverend Ecclesiastical Governor of the Dioceses of Manila blesses the dais and the exhibit grounds. Sr. Angel Aviles in turn delivers the inaugural speech in the name of Queen Maria Christina and of young King Alfonso XIII. Sr. Ramon Blanco declares the Regional Exposition open to the public. The bands of the Artillery and of Regiment no. 72 immediately play the Royal March as the Governor General leads hi retinue on viewing the different exhibits. 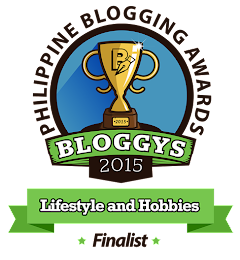 Applause, applause, applause, and fireworks.